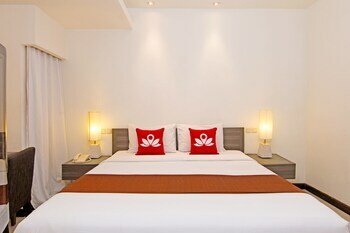 With a stay at ZEN Premium Padma 2 Legian in Legian (Padma), you'll be a 4-minute walk from Legian Beach and 10 minutes by foot from Kuta Beach. With a stay at Airy Denpasar Selatan Kerta Dalem Sidakarya Bali in Denpasar, you'll be within a 15-minute drive of Sanur Beach and Royal Thai Consulate. With a stay at Airy Pantai Senggigi Krandangan Lombok in Senggigi, you'll be within a 5-minute drive of Senggigi Beach and Art Market Senggigi.